When you start a new blog you have absolutely no idea what you are really getting into. 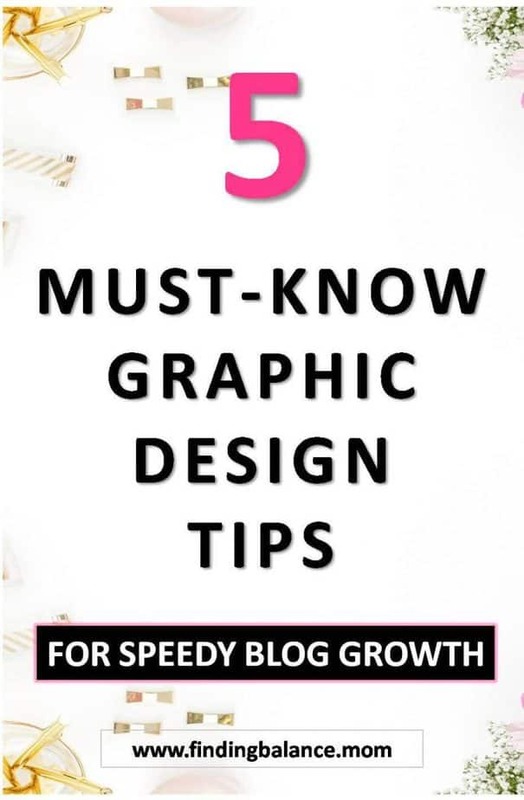 One of the things you quickly realize you have to become (in addition to all the other 1000 things you need to do) to grow your blog is a graphic designer! And so, despite spending 1 hour on just ONE pin, this hyper visual digital world still refuses to notice you, acknowledge your great content. As a result, your blog fails to make the money it ought to. 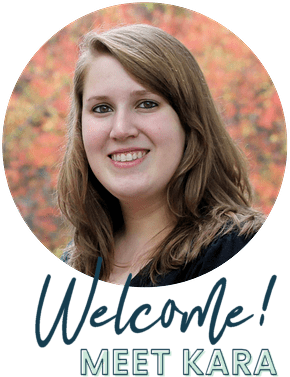 But it’s all about to change because I’m introducing you right now to the graphic design whiz who will simplify all these graphic design stuff for you. I bet your 3 year old could learn too if this gal taught her! Hi Kara, thank you for agreeing to chat. Can you please introduce yourself to us, why should we listen to anything you have to say about graphic design for bloggers? Hello! 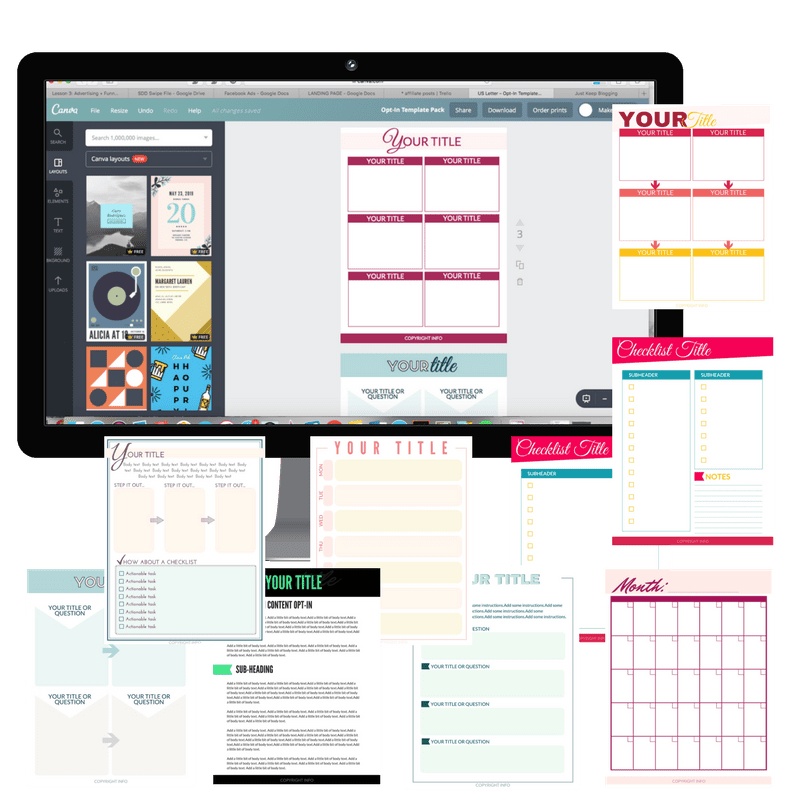 I’m Kara, I’m a mom of two and I own Simplifying DIY Design where I teach bloggers and online business owners how to create their own graphics for marketing and digital product creation! I’m a certified graphic designer proficient in Adobe products, and a certified canva creative. I’ve successfully worked in freelance graphic design, and have helped thousands of online business owners in just my first year of starting Simplifying DIY Design! I love being able to simplify the concepts of design so that entrepreneurs know exactly how to use design for marketing their business successfully. You always say that having bad design can prevent blog growth. What do you mean by that? Because the world of online business and even social media are becoming more and more visual, having aesthetically pleasing graphics is becoming more and more important. If your designs are difficult to read, difficult to look at, unorganized, or confusing then people will not even stop their scroll long enough to read your content. Your design needs to stop them, your content needs to get them to click. If those two things aren’t in place, it’s going to be very difficult to get noticed in the online business world which means very slow blog/business growth. Is graphic design really that important? What if you just decided to do away with creating graphics altogether? Or maybe ditched pinterest and used pretty stock photos with no text overlay or no photos at all to break up your blog post. I would say that you would have a very hard time generating income from your blog if that were to happen. Without pinterest images that are easy to see and easy to share, you will have a difficult time getting traffic to your blog. Less traffic means less email sign ups which means less money. Also, less traffic means less ad income. If you are simply using a stock photo with no overlay, then you will have no headline to grab people and get them to click. If they aren’t clicking, they aren’t buying. And without photos to break up your blog post your bounce rate will be pretty high. People don’t like to look at a large block of text, it’s overwhelming to read. Photos help break up your text, help people stay on your page longer (which is better for ad income and for SEO), and give a better user experience. I would definitely say, for all those reasons, that design is really that important! What would you say are some good places where great graphics are required? In blog posts, CTAs… Let’s hear your thoughts on this and its effect on conversion. Pretty much everywhere you can think of! Blog posts are non-negotiable in my opinion, you must have graphics in your blog post to encourage people to share, break up your text, and keep people on your page while giving a good user experience. I also like to include graphic versions of blog posts in my side bar in order to get people clicking around my site and help them get to my higher converting articles. Graphics also increase conversions pretty significantly on sales pages, it helps to grab attention quickly especially if it appears above the fold and helps to give perceived value to digital products by bringing them to “life”. Lastly, of course, graphics do really well on social media since it is so visual. Again, people are less likely to read a block of text, so including visual graphics in your post will help them get seen and clicked! Very interesting. Are there any basic rules to graphic design you feel compelled to share. I know that in your course you teach the elements of design but just say there were some really stubborn “ungraphically” talented bloggers who don’t want to sign up for that awesome course (looking at you Grace! ), what would be a 3 point rule they should always use? Never use more than 1 different type of script in an image! Also— bonus rule—readability is super important! Your graphic MUST be easy to read, especially on a mobile device so make sure colors pop and fonts are readable and large! And your best tools for graphic design? What do you use to quickly churn out such daringly beautiful graphics like this one? Who is this tool suitable for? I have so many favorite tools but the top of my list definitely includes Canva! 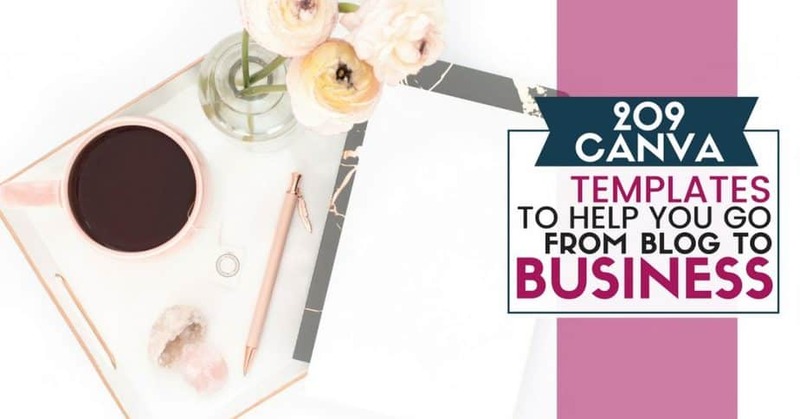 Canva is perfect for anyone, especially those that are unfamiliar with adobe products but need to learn how to create beautiful graphics (and definitely don’t have the time or energy to learn a complicated program like Adobe!). Canva is really suitable for ANY type of online business owner and any experience level, it’s very user friendly! Finally before you go, what are your top 5 favorite graphic design hacks? Generators are your friend! I love fontjoy.com for generating font pairings, and coolors.co for generating color palettes! Use a pencil and paper to plan out your layout before trying to bring it to life on the screen, it’ll help with placement and visualizing how things will fit on the page together and will be easy to “recreate” once you open your design program of choice. Keep it simple, design can be beautiful without being busy or over the top! Remember your brand! Your brand is very important— it creates more trust and recognizability among your warm audience (those that are familiar with you) which will result in higher conversions on social media and in advertising! Thank you so much Kara for your time. 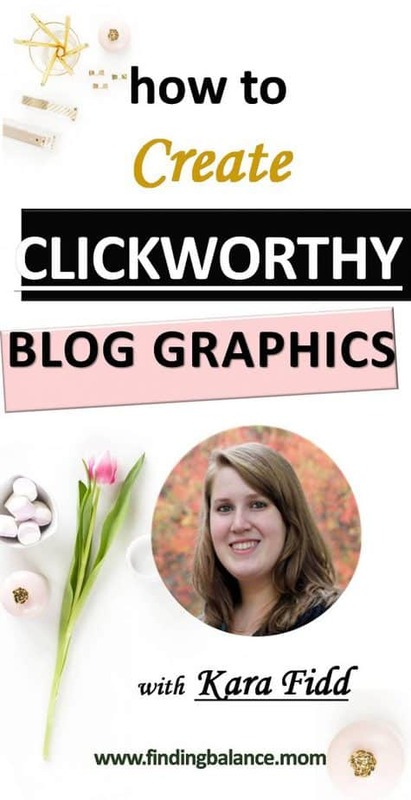 Take your blog growth to new levels with beautiful graphics! 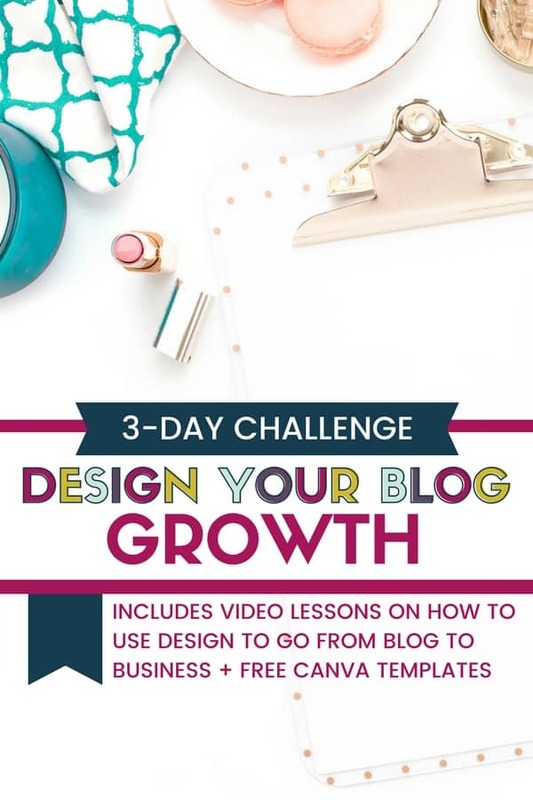 Click the button to check out all of Kara’s blog growth resources (FREE and paid). Great tips! I am starting to get interest to improve more of my graphic designs skills. Your post is very helpful. Thanks! Nice write up! I need to to see what Canva is more about. I honestly just still design with photoshop, but this can be a bit more time consuming…which I don’t always have. Using a pencil and paper and designing that with at the start is valuable in itself. Great tip! You are so right Angela. When I first started blogging, I thought it would be just a “write, hit publish, sit back and wait” thing. I’m so glad I’ve come to enjoy the multifaceted nature of blogging though, especially designing. Thanks to templates it takes the least of my time these days. Great review with Kara, Lily. I learned that simple, wins, in all things design. My bare bones theme and overall design to my brand keeps it stupid simple. Less is more. Keeps readers focused. Amen to keeping readers focused Ryan! I just got rid of my sidebar and a host of other stuff in an effort to give my readers less option. Having less space to promote things is making me use my space wisely and strategically now. It’s working!